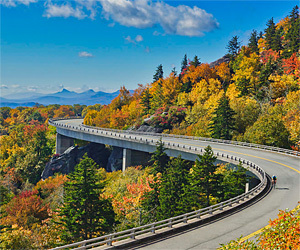 Blue Ridge Vacations Attractions Guide for the Western North Carolina High Country of Blowing Rock and Boone NC features the Blue Ridge Parkway, Area Attractions, North Carolina Golf Courses and North Carolina Ski Resorts for Western North Carolina Vacations in the North Carolina Blue Ridge Mountains. Find The Best Sellers in Outdoor Recreation! The Blue Ridge Parkway is part of the National Park Service, NPS, and connects to the Great Smoky Mountains National Park at the southern end near Cherokee NC at Milepost 469. The Blue Ridge Parkway speed limit is 35 to 45 mph, and passing areas are very limited, so please don’t be in a hurry to get anywhere. Watch for bikes! The Moses Cone estate houses the Southern Highland Craft Guild and The Blue Ridge Parkway Craft Center. Open daily from March 15 through November 30. We are mainly a mail-order wildflower nursery, but you are welcome to stop by and purchase native plants. We have a little cooler climate due to our elevation so flowers start growing in mid April and different things will bloom throughout the rest of the summer. The highest peak in the North Carolina Blue Ridge Mountains. North Carolina Vacations Guide Features the Mile High Swinging Bridge, elk, bears, cougars, and otters in their natural habitats. Open year round, weather permitting. $20 Admission Fee. 2,456-acre backcountry to spectacular hiking and backpacking. The South’s most severe weather and challenging terrain, with trails that have hikers scrambling along cliffs and up ladders. 12 miles of trails and backpack camping sites is generally from the Profile Trailhead on NC 105 or trailheads along the Blue Ridge Parkway. Located at the southern gateway to the North Carolina High Country, Linville Caverns is echoed within Humpback Mountain. Visitors are invited to explore the splendor and wonders nature created “inside a mountain”. Cave tours last 3540 minutes and depart every 1015 minutes. 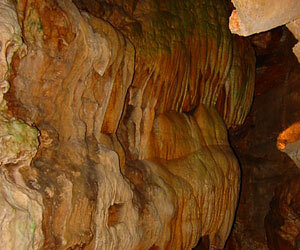 Linville Caverns is a seasonal operation. 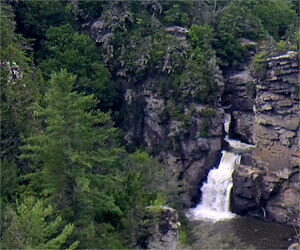 Linville Falls is the most popular waterfall in the Blue Ridge Mountains because of its accessibility to the Blue Ridge Parkway. It is a spectacular three-tiered waterfall plunging into Linville Gorge, the “Grand Canyon of the Southern Appalachians.” Operated by the National Park Service. 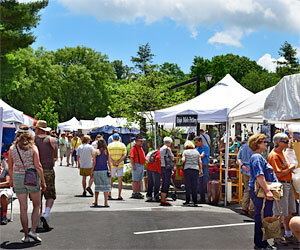 Art in the Park hosts 90 artisans at each show. Some of the best local and regional artists and craftspeople showcase their handcrafted jewelry, pottery, fiber, glass, photography, painting and more. 2018 Dates: May 26, June 16, July 14, August 11, September 8 and October 6. Founded in 1985 to preserve and protect the historical character and charm of the village, the Blowing Rock Historical Society is an active organization of over 300 members and plays a vital role in maintaining the unique sense of place that draws thousands of visitors to Blowing Rock, North Carolina. 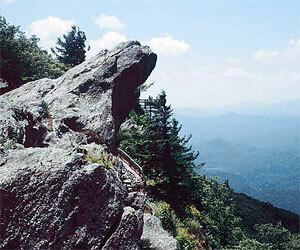 The Blowing Rock is the ‘Oldest Tourist Attraction in North Carolina’. The Blowing Rock is located directly across the road from the Green Park Inn on U.S. Highway 321, just as you enter Blowing Rock NC. Open Daily. Admission Fee. Weddings! 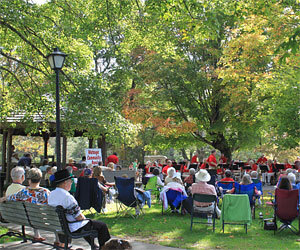 Blowing Rock’s Concert in the Park is an annual set of free outdoor concerts, held at 4 PM on Sundays, following Art in the Park. The performances offer entertainment from a variety of musical genres. Family friendly and casual. Bring a lawn chair or blanket! 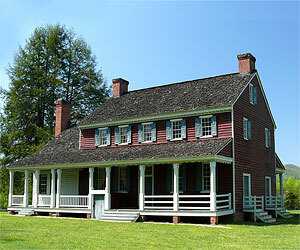 Fort Defiance is a historic plantation and former home of Revolutionary War General William Lenoir. Located north of Lenoir, NC, off US Highway 321 at Highway 268. Open April to October. 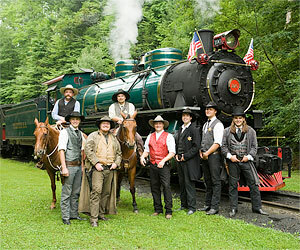 Tweetsie Railroad allows children and families to let their imaginations run wild and discover all sorts of fun. Kids can be a cowboy, an Indian or an engineer. Families love riding on our famous steam engine, Number 12, listed on the National Register of Historic Places. Just looking at her is enough to take you back. Winterfest in Blowing Rock NC is held the last weekend in January. Winterfest features a chili cook-off, winterfeast, a pancake breakfast, bonfire, ice carving, dog show, free hot chocolate and hay rides downtown, and the highlight of the four day winter event, the Polar Plunge at Chetola Resort, on Saturday morning. 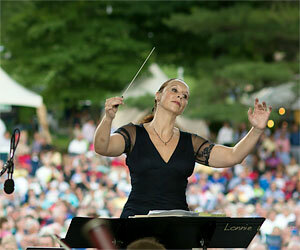 Join us for the Symphony by the Lake at Chetola. Always the pinnacle event of the summer season, the Symphony of the Mountains will again delight the audience! A spectacular fireworks finale will create a perfect evening! Gates open at 5:30 PM, the opening bands begin at 5:45 PM and the Symphony at 7:30 PM. Designed by Ellis Maples and opened in 1959. Available to the public all season-April through November. This is a public North Carolina golf course. 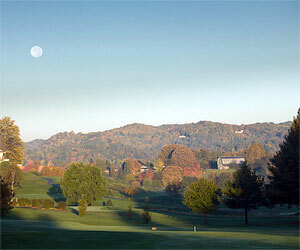 RedTail Mountain is featured in “Golf Digest”. This is a public Tennessee golf course. 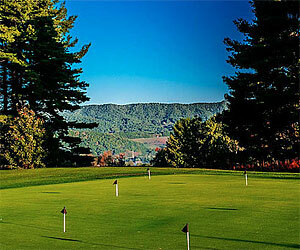 Willow Valley Golf Course at Willow Valley Resort offers a par-3 golf course. This is a public North Carolina golf course. 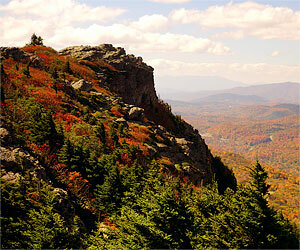 Appalachian Ski Mountain Ski Resort is located just north of Blowing Rock, North Carolina. 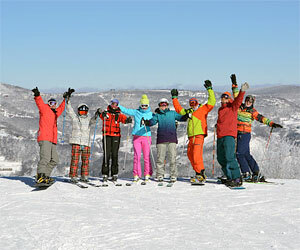 This Blowing Rock Ski Resort and Ski Area features family oriented skiing for beginners, intermediates, and occasional skiers and snowboarders. US Hwy 321 near the Blue Ridge Parkway. 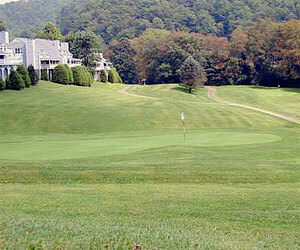 Hawksnest Resort is located off of Highway 105 S in Seven Devils, North Carolina, between Banner Elk and Boone NC. 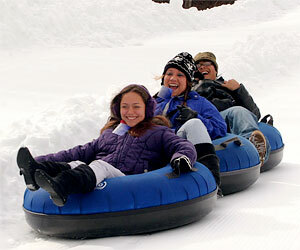 This popular Boone NC Snow Tubing Resort features only snow tubing, no skiing or snowboarding. Ski Beech Ski Resort and Ski Area is the highest Ski Area in east of the Rockies, at 5,500’ elevation. This Beech Mountain, North Carolina Ski Area features skiing, snowboarding, and an outdoor ice skating rink. 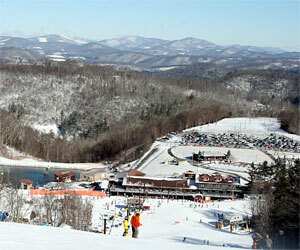 Sugar Mountain Ski Resort and Ski Area is the largest ski resort in North Carolina. 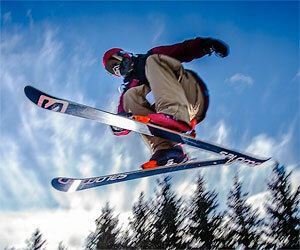 This Banner Elk, North Carolina Ski Resort features skiing, snowboarding, and a tubing run.